Write a PLC Timers Program for the following plc example. Construct a PLC timing circuit that will output (using output O:2/0) a 0.5 second pulse every two seconds (i.e. on for 0.5s then off for 2s). If a switch (using I:1/0) is closed and a 1 second pulse every two seconds if the switch is open. 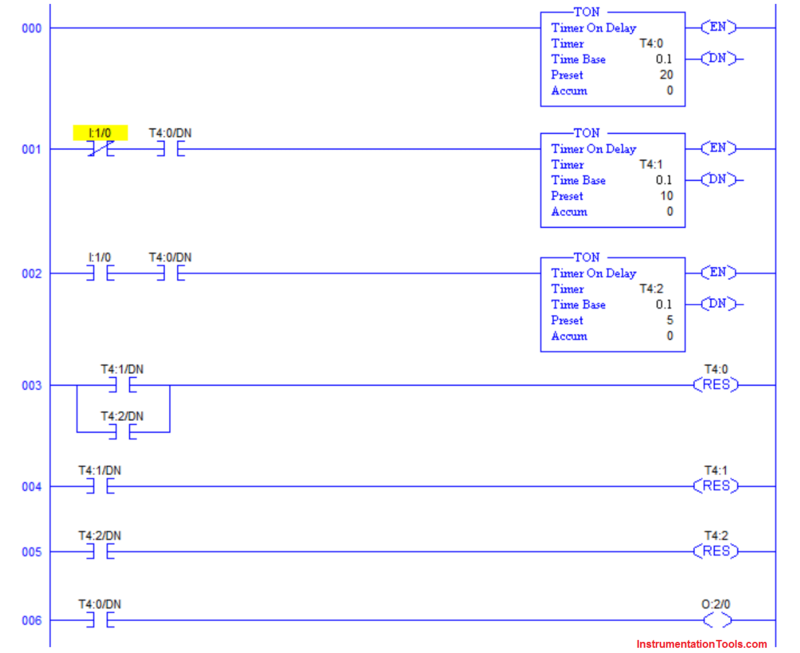 You can share the detailed explanation of above PLC ladder logic with comments section. What is Ladder Diagram ? Please explain it sir. I cannot understand clear. And thanks for documentation sir.